Pigeon Update is a new Google algorithm that everybody interested in SEO and SEM must learn more about to avoid incurring some stiff penalties. This update focuses on ensuring that users can get the best local search results. Google wants to make browsing a highly productive task for all users. Under the new update, which Google released on July 2014, accuracy in the local search results has become the most important issue. More importantly, local search results must not only be useful, but also relevant to the user. The local search results from this update shall closely resemble what is expected from the ranking signals of traditional web searches. Google released the Pigeon Update because of the need to see a huge improvement regarding its location and distance ranking parameters. The new update has transformed the way local SEOs operate. With this new algorithm, local searches have undergone a complete revolution. On the other hand, any website or business that hopes to benefit from Pigeon must learn what it is all about and use it correctly. Marketers must learn the best ways of doing local SEO. The old ways of doing local SEO must go. The new update calls for changes in SEO. When it comes to local optimization, most marketers had developed certain long-held habits, which need to change. 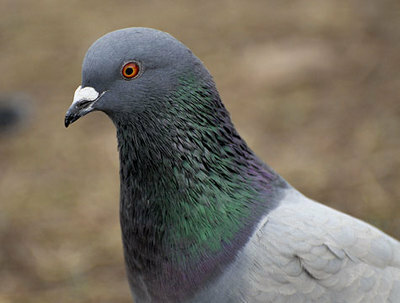 Under Pigeon Update, the focus ought to be on neighborhood searches, rather than city search queries. Pigeon has made it possible for the redesigning of geo-location to take place. In the beginning, when the update entered the market, many businesses thought that they would no longer remain in business. In fact, most businesses believed that the new update made it impossible for users to find them through search engines. Pigeon has redrawn geographical boundaries by dividing cities into smaller neighborhoods. Under the new update, businesses must now retarget all their marketing strategies appropriately. Therefore, local businesses must focus their online marketing strategies on the neighborhood rather than city name. More importantly, despite the need for changing the SEM strategies, the name, address and phone should remain the same. All local businesses must develop new strategies after discovering the neighborhoods that Pigeon has now placed them under. With the Pigeon Update, businesses must conduct a search to discover the geographical areas where they enjoy the strongest showing. After doing this, businesses must do whatever they possibly can to capitalize on their presence within such geographical neighborhood. Pigeon Update has reduced the importance of directory listings. Any business that has always undertaken its SEO and SEM campaigns using directory listings should change the approach. These days, businesses must find ways of optimizing the directory placement purposely for top-ranked directories. Look for the highest-ranking directories list with them. In the search results, look for the directory listings that appear just underneath the local pack. Pigeon Update holds content marketing dear. Therefore, ascertain that the local business continues with its content marketing campaigns without fail while paying special focus to targeting it to the neighborhood.